We have designed more than 10,000 m2 of living walls projects around the world, especially in Europe. 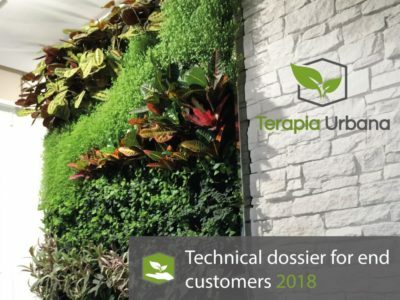 Discover the highlights in our 2018 dossier. 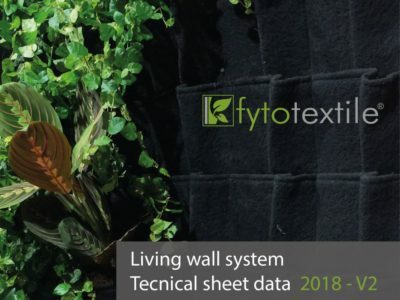 Discover in this dossier all the technical characteristics that differentiate our system Fytotextile® for vertical garden, of the rest of solutions in the market. 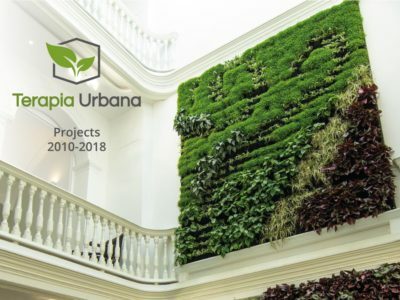 These are the most unique projects of Terapia Urbana. If you are a designer, engineer or architect we can help you with your living wall project. 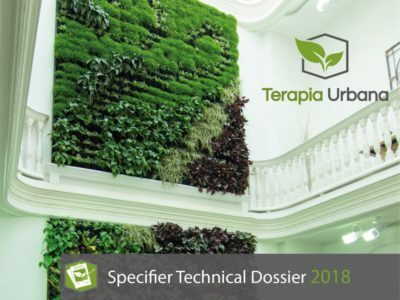 In this dossier you will find the way we collaborate with you to design the vertical garden most suitable for your project. 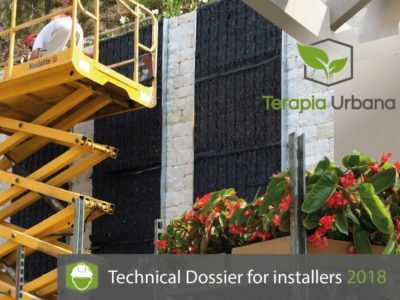 If you are a professional installer, and you need to install a vertical garden with guarantees, we offer you specialized technical support and the supply of our Fytotextile® system. Download this dossier to know how we can collaborate so that the result is a success. 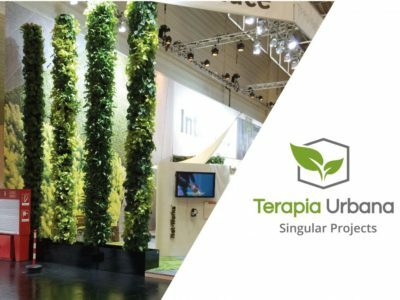 Do you need a living wall for your home or business? We manage the entire process from design to final maintenance, selecting the installation company under our supervision. Find out in this dossier how we can help you. 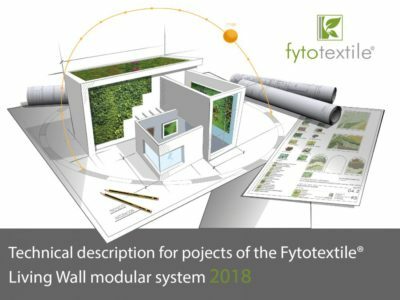 This dossier contains the technical specifications and project headings of our modular Fytotextile® Living Wall System. 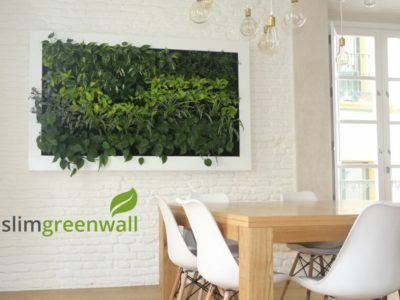 Slimgreenwall® naturalized canvases are compact vertical garden systems that move nature into the spaces without the need for work, and with simple maintenance. Know in this dossier all the info about this elegant and reliable system.